Manage just about everything in your home from just about anywhere in the world. 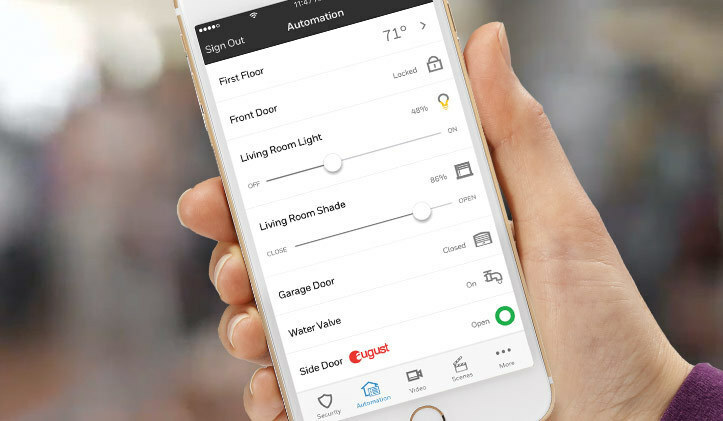 With smart home automation, you can control your security system, indoor and outdoor lights, door locks and more—all from your smartphone or tablet. Plus, setting up is easy. 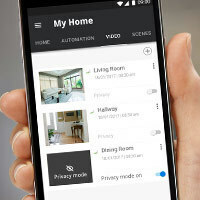 We'll help you find the right smart home equipment for your home and install everything for you. Control your security from anywhere. 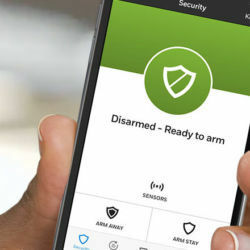 With remote access, you can arm and disarm your system, get alert notifications and view live camera footage—all from your smartphone. Set your home's temperature anytime, anywhere. With smart thermostat control, you can control temperatures remotely and customize temperatures using geofence technology, which uses your phone's location to know when you're home and away. 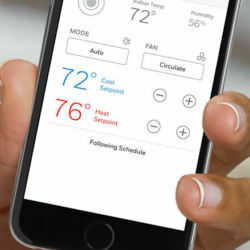 Plus, you can connect smart thermostats to other smart technology in your home. Never again forget if you turned a light off. 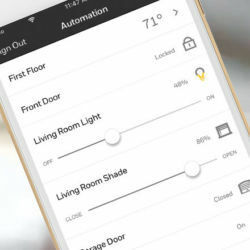 With home lighting automation, you can turn lights on or off and dim or brighten them remotely, program lights to turn on when a motion sensor or smoke detector triggers, and automate indoor and outdoor lights to make a vacant home look occupied. Never get locked out again. Our smart door locks let you remotely lock and unlock doors and notify you when a door is unlocked. 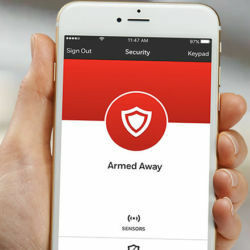 You can also set your system to automatically lock doors when you arm your security system, or automatically unlock doors if there's a fire emergency. No more guessing whether you closed the garage door. 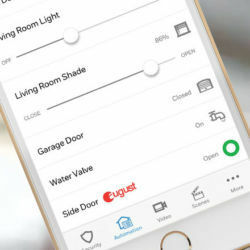 With our smart garage door opener, you can control your garage door remotely, get notifications when it's opened (or forced open), and program it to be monitored with the rest of your home's security system. Gone are the days of missing visitors or package deliveries. 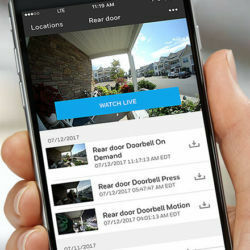 With SkyBell smart video doorbells, you get a live video alert when someone's at your door—whether or not they rang the doorbell. You can have full conversations with your visitors, and capture and store video and images. All when you're away from home. Keep an eye on your home—even when you're away from it. 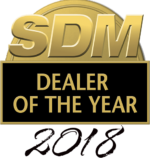 Ready for trusted home security?